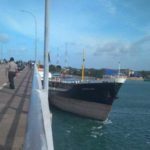 The 131 meter long, 5288 dwt tanker Eastern Glory allided with the Barelang II Bridge in Batam City, Riau Islands, Indonesia. 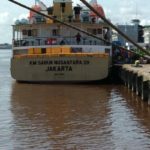 The Eastern Glory had been at anchor off Barelang Root Island when a tug arrived on scene. 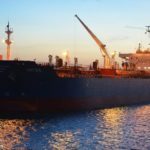 The tug took the Eastern Glory under tow to re position the tanker so that other vessels could anchor nearby. 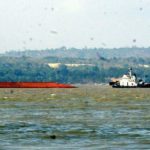 The tug struggled to keep the Eastern Glory under control. 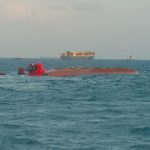 Strong currents and wind gusts pushed the tanker overwhelming the tug. 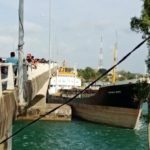 The tug was forced to drop the towline and the Eastern Glory drifted away until it struck the bridge breaking its main mast. No reports of injuries. The Eastern Glory remained wedged against the bridge for several hours until several tugs arrived and were able to pull the the tanker free. Authorities have launched an investigation into the incident. No reports of pollution released. 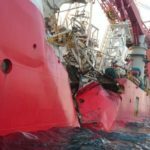 On January 13, the 144 meter long, 13360 dwt pipe layer vessel Star Centurion was struck by the 176 meter long, 40094 dwt tanker Antea in the Singapore Strait off Bintan Island, Indonesia. 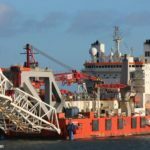 The Star Centurion had been at anchor when the Antea struck the pipelay vessel amidships. The Star Centurion’s hull was holed and suffered water ingress. 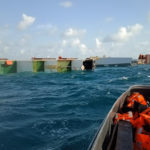 The vessel’s pumps were unable to keep up with the flooding and the Star Centurion developed a severe list. 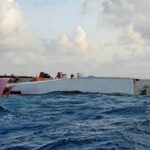 All 22 crew on the Star Centurion abandoned ship into the lifeboats before the pipe layer capsized onto its port side and partially sank. No reports of injuries. 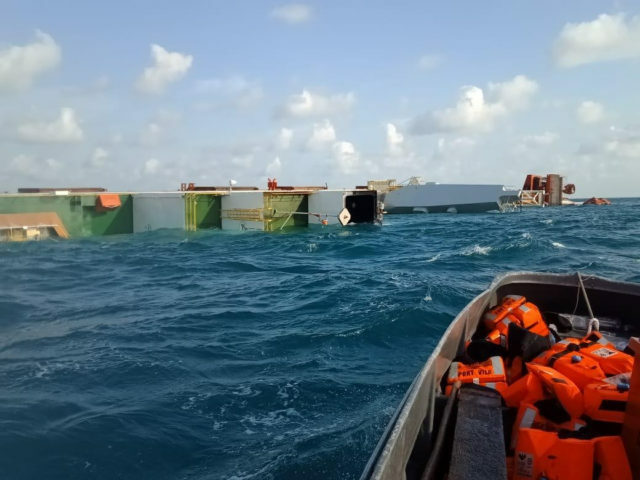 Indonesian authorities have dispatched vessels to monitor the wreck. The Star Centurion’s hull remains partially above water. 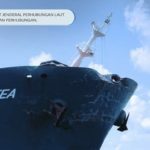 Reports state the Antea had sustained damage, but was able to proceed under its own power to the port of Kuala Sungai Linggi. 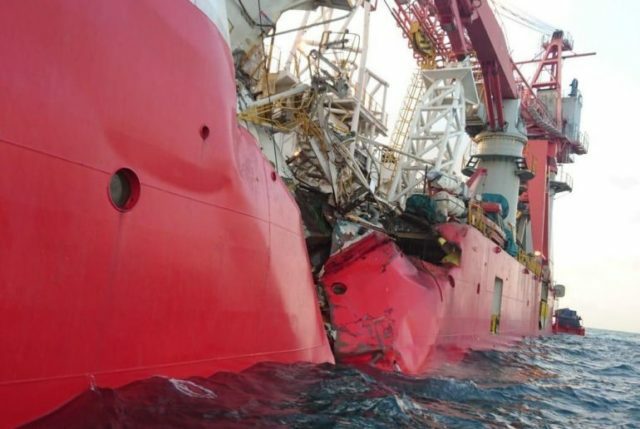 The owners of the Star Centurion have awarded Smit Salvage the contract to salvage the vessel. 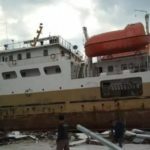 On September 28. the 63 meter long, 1202 dwt cargo vessel Sabuk Nusantara 39 washed ashore at Palu, Sulawesi, Indonesia. 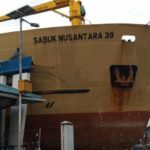 The Sabuk Nusantara 39 had been moored at the dock when the vessel was struck by an 6 meter tsunami wave. 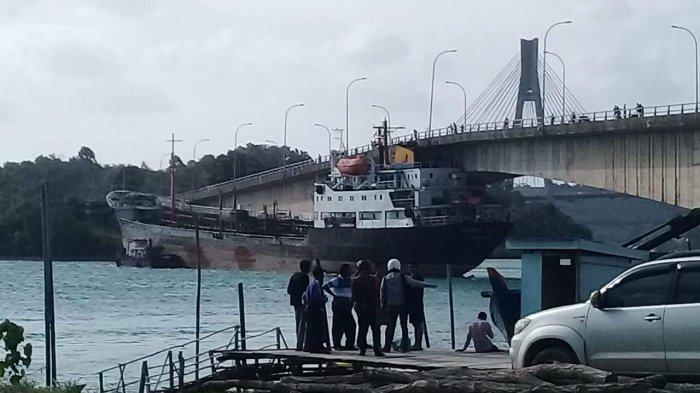 All the mooring lines holding the Sabuk Nusantara 39 snapped and the wave pushed the cargo vessel inland. 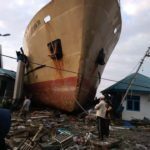 The Sabuk Nusantara 39 was carried over the road and crashed into building supporting the port. 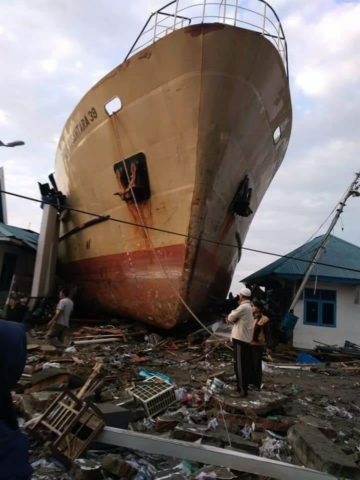 Reports state several buildings were damaged and the Sabuk Nusantara 39 had sustained some hull damage. 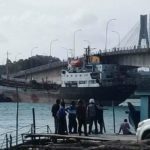 No details if there was any injuries or pollution released due to the earthquake and tsunami damage.